2015_Day 307: Today wasn’t Wednesday? 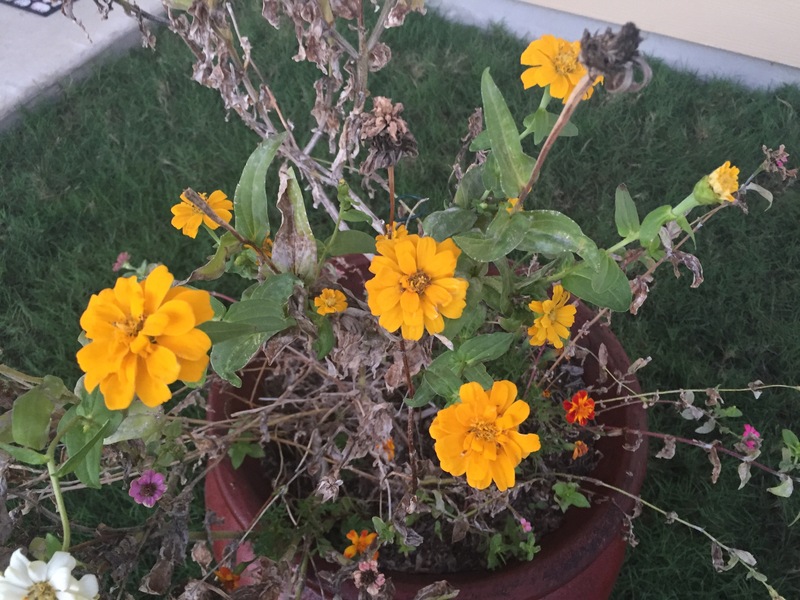 This entry was posted in Gardening, Living and tagged musings, zinnias on November 3, 2015 by Julie Riebe. 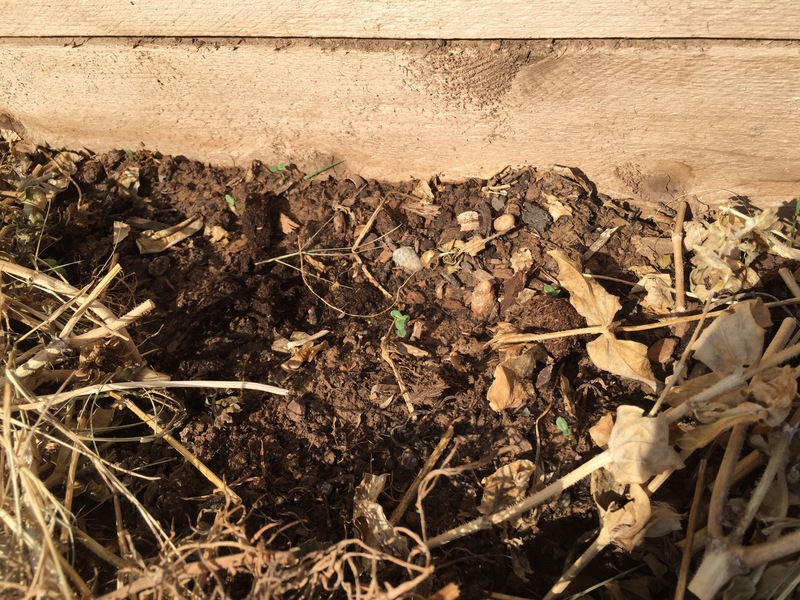 This entry was posted in Gardening and tagged rain, seeds, zinnias on November 1, 2015 by Julie Riebe. 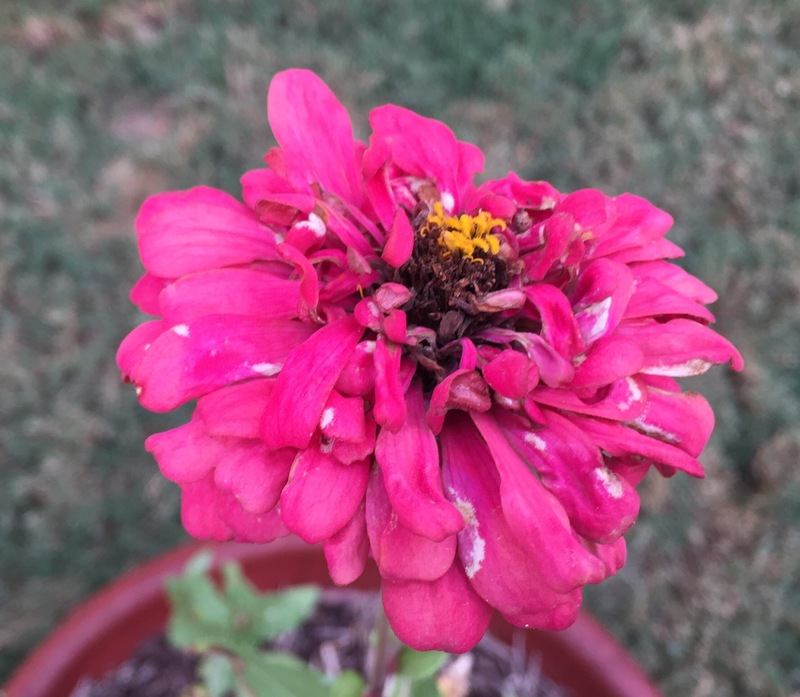 This entry was posted in Gardening and tagged flowers, zinnias on September 25, 2015 by Julie Riebe. 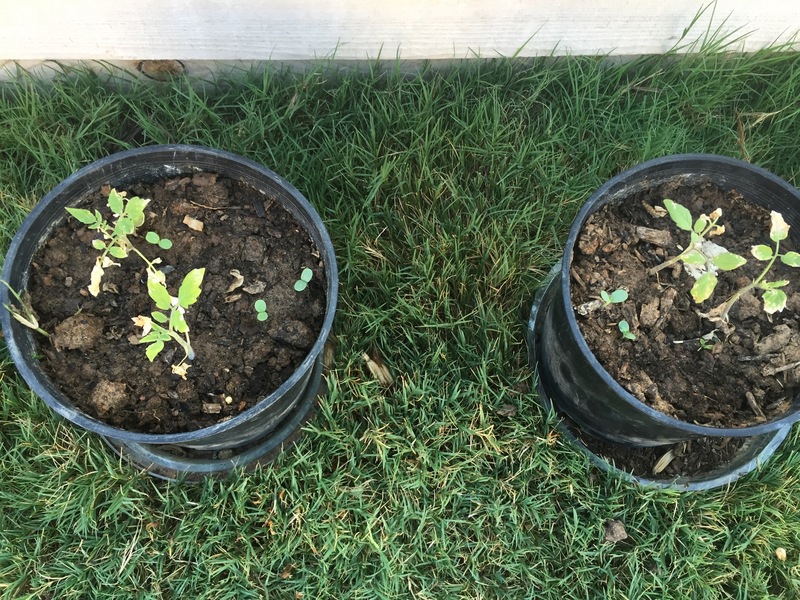 This entry was posted in Gardening and tagged flowers, tomatoes, zinnias on September 19, 2015 by Julie Riebe. 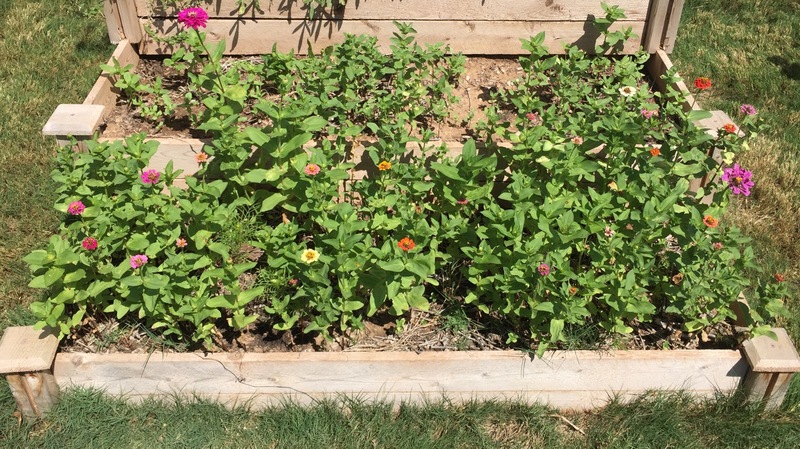 This entry was posted in Gardening and tagged pumpkins, tomatoes, zinnias on August 6, 2015 by Julie Riebe. 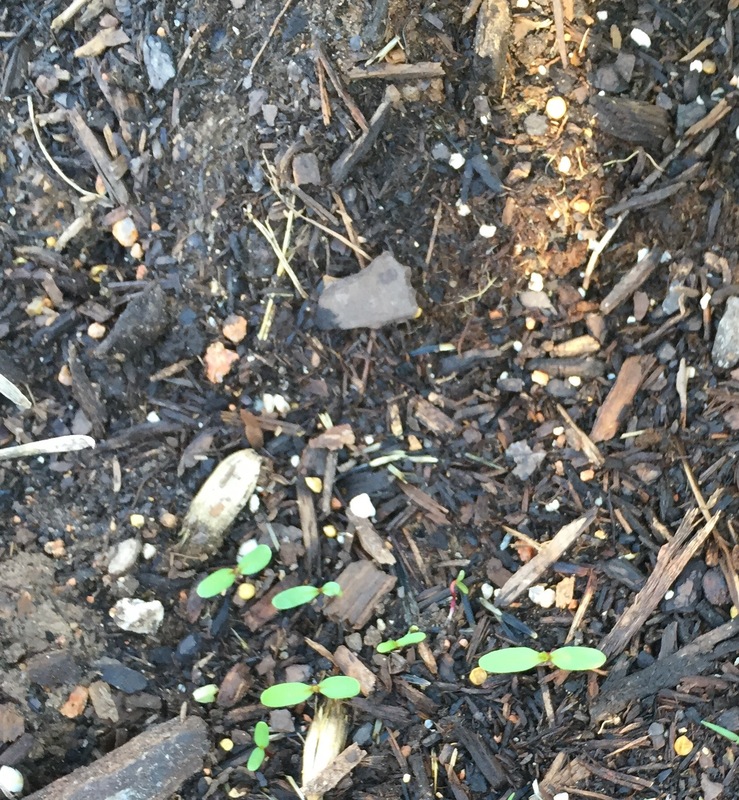 While I didn’t expect to see zinnia seeds sprouting after just 2 1/2 days, I am pleased to see a number of them popping up in my flower beds. 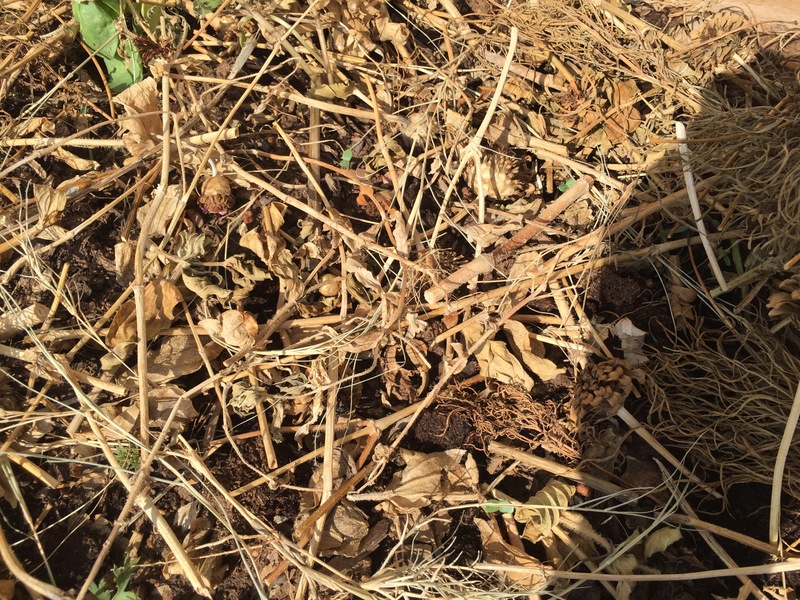 I’m giving some credit to the layer of leaves and dried-up flower stems I covered the dirt with after planting. 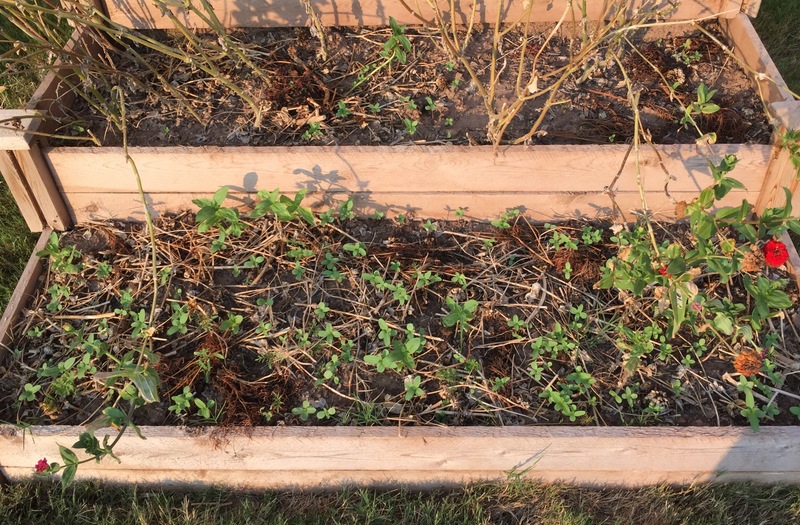 That homemade mulch, along with regular watering and this Texas heat could just be key to a bumper late-summer/early fall flower crop. 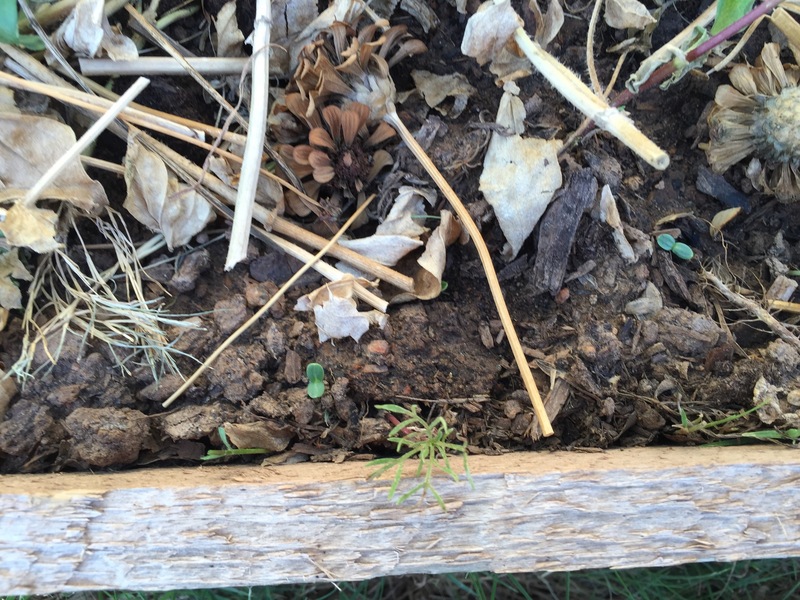 This entry was posted in Gardening and tagged flowers, mulch, zinnias on August 4, 2015 by Julie Riebe.